Aging is known for having an impact on an older adult’s ability to think quickly and recall important information, such as names. However, people often fail to overlook the different ways aging affects how a person thinks. Knowing about these four causes of age-related cognitive challenges can help you make a plan that allows your loved one to retain his or her thinking abilities for longer. Memory loss isn’t the only age-related cognitive change seniors must work to counteract. For many seniors, the issues begin when they first learn new information. For example, hearing loss may cause your loved one to only be able to pick up a few words during a critical conversation, or he or she may mishear a name. Later, it may seem as though your loved one is having memory difficulties when the right information was never stored in his or her brain in the first place. Make sure common age-related health conditions, such as vision and hearing loss, are treated appropriately so your loved one has the ability to take in new information as it comes. When your loved one takes minutes to recall information that he or she should be able to pull up in seconds, your first thought might be dementia. However, this slower recall time could be caused by something far easier to address. Many medications come with side effects that dull senses and slow down reaction times. Fatigue, foggy thinking, and confusion are all common side effects of medication you need to discuss with your loved one’s physician if they appear within the same time frame as a new prescription. If the slower reaction times are severe, you may also need to take additional steps to safeguard your loved one, such as having someone else handle the driving until your family finds a solution. If your loved one’s slower recall ability is severe and not the result of medication, consider hiring a trained professional caregiver to ensure your loved one’s safety and wellbeing. Certain age-related conditions can make it more challenging for seniors to age in place safely and comfortably, but Portland live-in care experts are available around the clock to help seniors manage their health. Whether your loved one is living with dementia or is recovering from a stroke, you can trust the professional live-in caregivers from Home Care Assistance to enhance his or her quality of life. 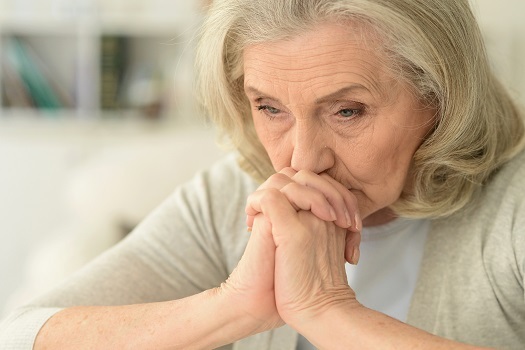 Seniors who are isolated or diagnosed with emotional health conditions such as depression also undergo cognitive changes due to a decreased interest in exposing themselves to new experiences. Learning new information is critical for strengthening the neural connections in the brain associated with memory and reasoning. With every new person your loved one meets and each class he or she takes, your loved one is effectively making it possible to retain his or her cognitive abilities. Seniors can regain interest in learning with help from a professional caregiver who has training in innovative, specialized methods designed to boost cognitive health. If your senior loved one needs help managing an illness or assistance with daily tasks, make sure you choose a top-rated provider of in-home care. Portland Home Care Assistance is here to help your loved one live a happier and healthier life in the golden years. From the mentally stimulating activities in our Cognitive Therapeutics Method to our friendly Care Managers who are available to answer your questions 24 hours a day, we offer a wide array of high-quality at-home care services. Many progressive health conditions worsen in the senior years, and they can affect cognitive functioning if they’re not addressed properly. For instance, untreated heart disease restricts blood flow to the brain that’s necessary for it to function. Parkinson’s disease, diabetes, and Alzheimer’s are a few more health issues that require long-term treatment to keep them from affecting cognitive health. Families whose loved ones show a decrease in cognitive function can gain peace of mind by enlisting the help of an experienced professional caregiver. Portland at-home care experts are available to provide high-quality care to seniors on an as-needed basis. From assistance with mobility and exercise to providing transportation to the doctor’s office and social events, there are a variety of ways professional caregivers can help your aging loved one continue to live independently. If your loved one needs help with the challenges of aging, call one of our compassionate Care Managers today at (207) 835-4849.